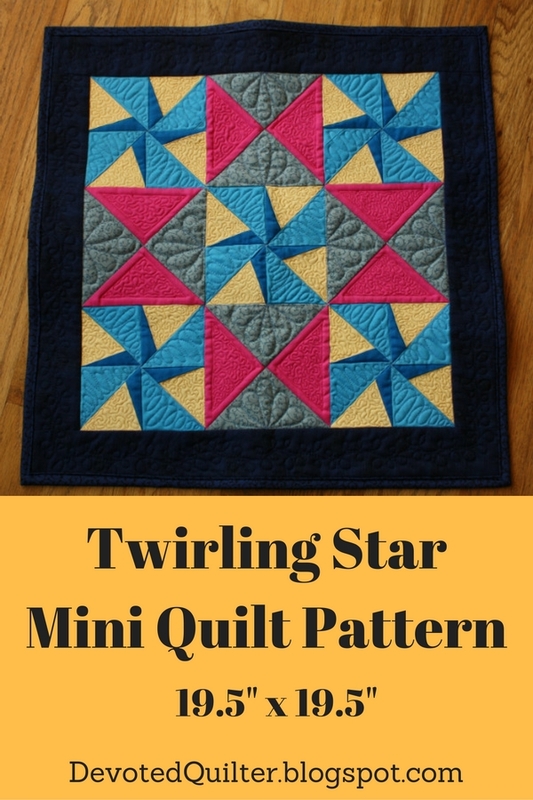 Devoted Quilter: Twirling Star Pattern Available! You are very welcome!! It was really fun to make this quilt with a modern aesthetic! It's such a versatile pattern. I will spread the word that it is now available, and I am hoping to quilt mine up soon! I'm excited to hang it in our entryway so that a rainbow of pinwheels greets any visitors! So cute! I like the quilting which combines feathers and loops. Congratulations on the pattern release, Leanne! The Twirling Star is a stunning design. I love that it incorporates both traditional and paper piecing. Great job on your mini! This looks like a lovely pattern, and a lovely mini in those colours. Thank you for linking up with Sew Cute Tuesday. I had seen Kitty's version, which I love. 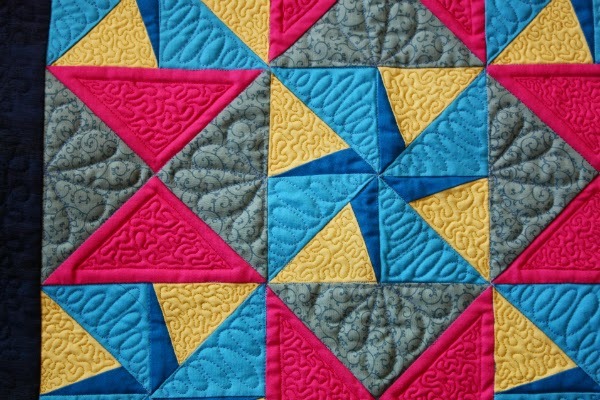 Yours is great in solids with the quilting standing out so nicely! I like how you did a different FMQ pattern in each color. Congratulations on your pattern release and thank you for linking up with me for TGIFF! This pattern is really neat, I love the added movement it has! And your quilt works with it really well! Congratulations on the pattern release. This looks like a versatile pattern, which could look great in lots of different styles. It's very cool! I saw Kitty's and love both versions!